XXII Batch Selection process for L&T ECC Build India Scholarship (BIS) Programme at IITs 2019 has been started. The fresh engineering graduates from the Civil and Electrical Engineering disciplines will get a chance to get admission for the 02 years full-time M.Tech (Construction Technology & Management) degree at IIT-Madras, IIT-Delhi, NIT Surathkal & NIT Trichy. The Course is designed by the IIT’s in consultation with L&T ECC. The selection is done jointly by IITs & L&T. The selection process includes an online written test (subject & aptitude) followed by a personal interview conducted by a panel from IIT and L&T. The final selection is subject to one’s medical fitness. On successful completion of the M.Tech. course, the selected candidates are absorbed in regular employment in L&T ECC in accordance with the terms and conditions of the Scheme. 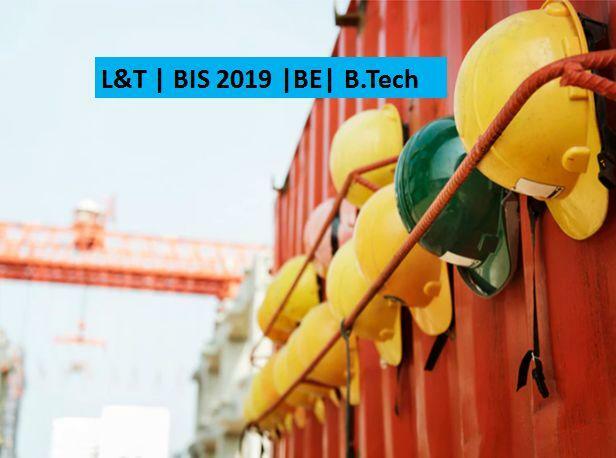 L&T BIS is a scheme for freshers who join L&T through campus placement or directly give BIS exam/entrance when they are in a final year in B.Tech. The objective of this course is to give eligible fresh minds, a perspective on management of construction. Stipend: Rs. 13,400/- p.m. (paid to the candidates). Tuition fee and Sponsorship fee will be settled by L&T to the respective Institutes directly. The sponsored candidates need to bear the Hostel Accommodation fee & Mess fee. Only final year candidates (those who are pursuing their final year B.E. / B. Tech, those who are expected to graduate by May / June 2019) from core Civil Engineering & Core Electrical Engineering are eligible to apply. Mechanical Candidates are not eligible to apply. Candidates who have graduated in May / June 2018 or prior to that are not eligible to apply.